Pain Relief-Medications for Headache & Migraine Suffers. Dear Reader, Please read Disclaimer first. Disclaimer:- Information given here is for information only, not a substitute for medical advice, always consult your doctor and pharmacist for tailored individual advices. This is of particular importance as overuse of all drugs (including aspirin and paracetamol) use to treat headache & migraine can cause further headache. ( please refers to the section on Medication Over-use headache). First-line treatment of acute migraine attack…………………………………………………………………………………………………………………. Non-prescription over-the-counter simple Analgesics are usually used as a first-line treatment, commonly chosen by the patients themselves or their doctors and pharmacists for headache relief, migraine relief. Paracetamol (Panadol, Panamax, Panadol Osteo…etc). Used for relief of mild to moderate pain.Â It had mild anti-inflammatory action by inhibiting production of inflammatory chemicals and it can also reduce fever. When taken by mouth, it works within 30 minutes (some dose form works quicker) Usual adult dose is 500-1000mg every 4 to 6 hours. People who experience regular continuous pain should consider taking paracetamol on an “around-the-clock” basis up to 4g a day to give a constant baseline level of pain relief. Recently, Paracetamol plus Caffeine (Panadol Extra) is available as an improved formulation. Caffeine seems to increase the absorption of paracetamol into the body thus enhance its effectiveness. NSAIDs work by blocking the body chemical messengers that cause swelling and inflammation. They targeted pain resulting from tissues damage and inflammation. They can also reduce fever. 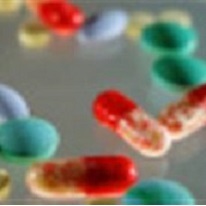 Each NSAIDs has different dosage requirements depending on the drugs and formulation used. Try to take the lowest effective dose and they should only be taken when required, not on regular basis. Only take one NSAID at a time, there is no benefit from using more than one concurrently.Â Side effects include nausea, heartburn, and gastrointestinal bleeding, salt and fluid retention. About 10% of asthma suffers also are sensitive to NSAIDs. Out of the above NSAIDs, Ibuprofen is perhaps the most commonly used for headache and migraine. Ibuprofen also had the least stomach upset and can be taken on an empty stomach but always with a full glass of water to ensure well absorption. Opioids work directly on the pain receptors in the brain and spinal cord by blocking the chemical messengers thus our reception to pain. Therefore, they are called centrally acting drugs. Codeine, often used in combination, is perhaps the most common opioid used as a pain reliever for headache and migraine. After taking codeine, our body changes it into its active form, morphine, by a special liver enzyme. However, up to 10% of people do not change codeine as well to morphine thus they may experience less pain relief than the others when taking codeine. Opioids are not a good drug of choice for headache and migraine as they are more used in control of chronic pain. Their side effects can be quite serious and overtime, with frequent use, dependence can be a real problem. If nausea is present, then an Antiemetic drug can be added onto the treatment to help to combat nausea and vomiting. They work by blocking the action of chemical messengers in the brain that cause nausea and vomiting. They may also increase muscle contractions of stomach and upper intestine. or Prochlorperazine (Stemetil, Stemzine, Nausetil) 5 to 10mg orally. Combination products. Various combination products are commercially available in the market for the treatment of headache and migraine. Paracetamol & Metocopramide (Anagraine), which combines an analgesic and antiematic, is available as a pharmacist only medicine. Analgesic and Opioid combination such as Paracetamol & Codeine (Panadeine) and Ibuprofen & Codeine (Nurofen Plus, Panafen Plus) are also available. Although they may offer a slightly better pain relief than Ibuprofen or Paracetamol alone, they do have more side effects as codeine can cause nausea, drowsiness and constipation. Paracetamol, Codeine & Doxylamine (Mersyndol, Fiorinal, Tensodeine…etc), this product contains an antihistamine, doxylamine, as it is thought that the antihistamine, may decrease nausea and has a calmative effect. Possible side effects include drowsiness, dry month and constipation. If the patient has been treated with a NSAIDs or simple analgesic and failed, then a Triptan can be used. By this stage, the patient would have already consulted a doctor. Therefore, drugs used in second line treatment are all on prescription only. It is thought that migraine headache may be due to temporary inflammation of certain blood vessels in the head. These blood vessels swell, causing the pain and visual disturbances that often happen during an attack. Triptan works by reducing the inflammation thus shrink the swollen blood vessels back to their normal size; hence ease the symptoms of migraine. They are most effective if taken when headache is beginning to develop. If one type of triptan doesn’t provide effective relief, you can try a different triptan. Recurrence of headache is commonly seen 6 to 24hours from the first dose and maybe treated by a second dose. There are strict directions and guidelines on how to and how often one take the first and second doses of triptan, ask for doctor and pharmacist for further details. Studies had also been done by combination of NSAIDs and Triptan with some success. Various contraindications and drug interactions occur when patients are taking Triptan, ask your doctor and pharmacist for further advices. Similar to Triptans, Ergot alkaloids also cause shrinkage of swollen blood vessels in migraine and other similar vascular headaches. Cafergot oral tablets are no longer available in Australia since 2009. Dihydroergotamine (Dihydergot) injection & Ergotamine (Cafergot) suppositories are still in use as second line treatment, but their uses are often limited by their side effects. Your doctor will explain to you before prescribe. Prevention of Migraine- Prophylactic drugs use…………………………………………………………………………………………………………. Consider prevention treatment if you have 2 or more migraine attacks per month, which hinder your quality of life. Prophylactic drugs need to be taken everyday whether you have a headache or not, which made them a bit unpopular, so consider carefully before you decide.Â Treatment for acute attacks is still required as preventive therapy only reduces the frequency and severity of headache not eliminates them all together. Often it may take one to three months for prophylactic drugs to work. Propanolol (Inderal, Deralin); Metoprolol (Betaloc, Minax, Metrol, Lopresor…etc); Atenolol (Tenormin, Noten, Tensig…etc). These drugs are called beta-blockers and they work by limiting nerve stimulation to blood vessels in brain thus help to prevent migraine. Very common side effects include fatigue, light-headedness, lower heart rate, vivid dreams and possible sexual dysfunction. These can become problems especially in a young patient. Pizotifen (Sandomigran) is used to prevent vascular headache. It works by stopping the swelling of blood vessels in the brain. However, drowsiness and stimulating appetite that lead to weight gain can be common side effects. Methyseride (Deseril), a member of Ergot alkoids, is usually used with a six months on then one month off routine to reduce long-term risk of fibrosis associated with usage. Amitriptyline (Endep,Tryptanol) although marketed as anti-depressant, can also be of helps by altering the brain chemicals involve in migraine. They also help to promote sleep and improve sleep quality in patients with persistent pain. Valproate (Epilim, Valpro, Valprease…etc) ; Topiramate (Topamax, Tamate, Epiramax…etc) and Gabapentin (Neurontin, Gabatine, Nupentin, Gabahexal…etc) although marketed as anti-epileptics and anti-convulsants, they help by controlling brain chemicals involve in migraine. Clonidine (Catapres), an antihypertensive, and Cyproheptadine(Periactin), an antihistamine, had both been in use as preventative. They are seldom used now for lack of evidence of efficacy. Botulinum (Botox) given by regular injections to relax certain head and neck muscles every 12 weeks for three to five treatment cycles had also recently been approved as a preventative treatment in chronic migraine. Feverfew, an herb that appears to have anti-inflammatory action on blood vessel is also used in herbal remedy for headache. The main active constituent in feverfew is parthenolide. Treatment requires gradual withdrawal of the overused medications. Specialist management is often necessary from a Pain Clinic. If you suspect you had Medication Over-use headache, do talk to your doctor and pharmacist. William So, practising community pharmacist with over 20 years experience.